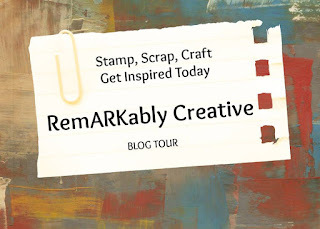 I'm so excited to participate in today's RemARKably Creative Blog Tour! Today we are sharing projects made with the Urban Underground Suite. 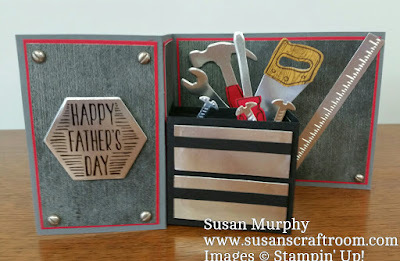 I recently saw the instructions for this card made by Sandi MacIver on www.stampinandblogging.com. 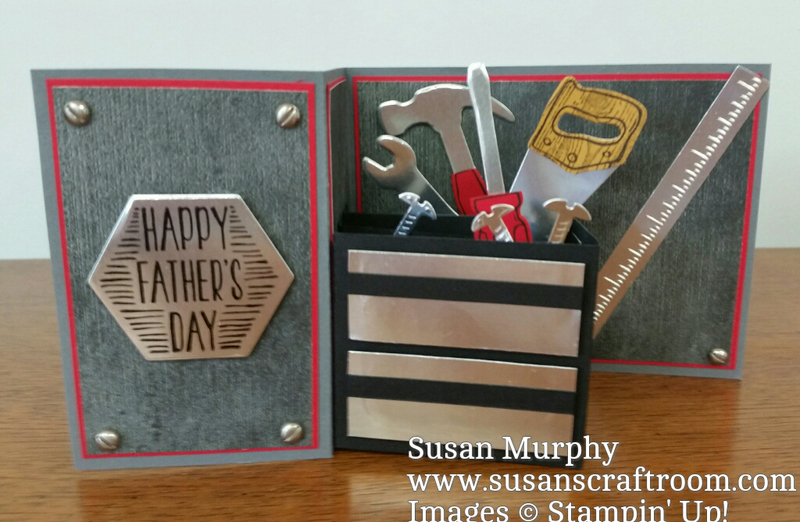 I HAD to CASE it and make one of these for my hubby for Father's Day! We always have a remodeling project going here on the farm so I know he'll love it. I had a great time playing with the little tools in this Suite! 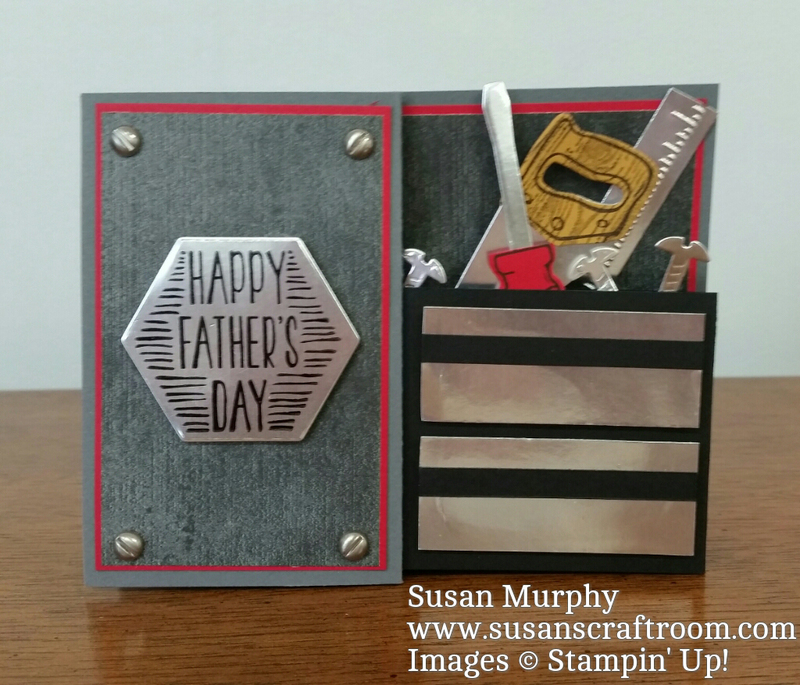 I have a LOT of little tools in a variety of color combinations all over my work table! All the supplies used can be found at the bottom of the post. 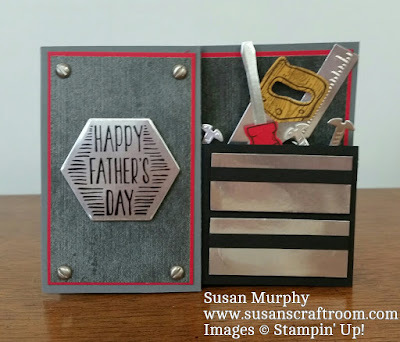 is put within a Z-fold card. you can easily mail it. You can find the list of products used at the bottom of the page.